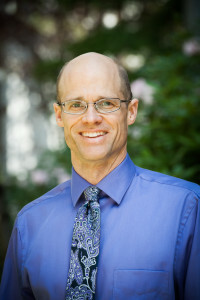 Ben Mortenson is an Assistant Professor in the Department of Occupational Science and Occupational Therapy in the Faculty of Medicine at the University of British Columbia. He is also an Adjunct Professor at the Simon Fraser University and is a Principal Investigator at ICORD. He completed his B.Sc. in Occupational Therapy at the University of Alberta, followed by his M.Sc. and Ph.D. in Rehabilitation Science at the University of British Columbia. He completed his post-doctoral fellowship at the University of Montreal, funded by a CIHR grant, and a post-doctoral fellowship at the Simon Fraser University, funded by a Banting Postdoctoral Fellowship Award. Dr. Mortenson’s research is concerned with four overlapping areas: assistive technology, social participation, caregiving and outcome measurement. His work is centered on four main populations: assistive technology users, informal and formal caregivers, individuals with spinal cord injury and residents in long-term care. Learn more about Dr. Mortenson.